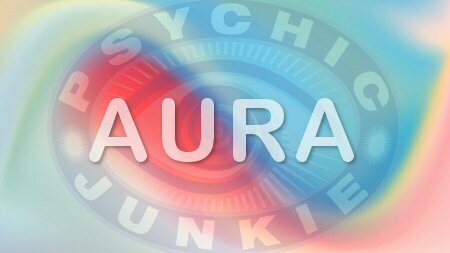 Aura cleansing will help you let go of other people's stuff and prevent psychic attack. No matter how pure a channel you are, you may still pick up other people's negative energy. Our auras are approximately six feet high and wide and we interact with everyone we pass by. Herein lays the phenomena of energy exchange. That’s a huge topic – for the sake of this web page I will strictly deal with cleansing your aura. An oldie but a goody is to white light yourself. Simply imagine white Divine energy pouring over you like a shower. Gentle rain drops as they fall they take all the negativity surrounding you with them. You can finish off with gold star dust which is protection. Let the gold flow all the way from the top of your channel down into the ground, down into your true essence. You can recite to yourself “I am totally protected now”. Spray your aura with the essential oil of lime diluted in a small or medium sized dark glass spray bottle. You might feel invigorated from this lime being in your aura. It is a wonderful pick-me up and great for cleansing. White sage from your herb garden can be dried and burned in your home for aura cleansing to clear out any negative energy. You need only burn safely a few leaves per room in a secure metal or clay pot. While the smoke fills the room, hold an intention that this is a strong energetic cleansing and realize you are protecting the whole area. You can chant “Out with the old energies and in with new positive loving energies now”, or something like that. Once your home is cleaned, imagine your home surrounded with Gold. Imagine it sealed and protected with an invisible gold mesh screen. A Smokey quartz crystal is good for psychic protection. Place it in your home and designate it as your home’s psychic protection crystal. Carry one with you and designate it as your own personal psychic protection crystal. You can designate any crystal to protect you really. Just ask them, they are happy to oblige. Essential oil of Sandalwood on your neck is wonderful for cleansing your aura and for protection against psychic attack. Place just a few drops (1 or 2) on your finger tips and rub it on the back of your neck. It is said that this is your first place of psychic attack. So if you are getting frequent headaches, try the Sandalwood Oil and some aura cleansing ideas from above. You just never know what might work for you in that moment. Burning essential oil of lime in an aromatherapy burner is another great space cleanser. It can also help cleanse your aura when used like a perfume by dabbing a drop or two on your wrists. If you would like individual help with your aura, you can connect with an Aura Psychic here.